I’m sure I don’t need to tell you how to sit in the Simple Cross-legged Pose. I bet you’ve sat in this posture many times before (especially as a kid). 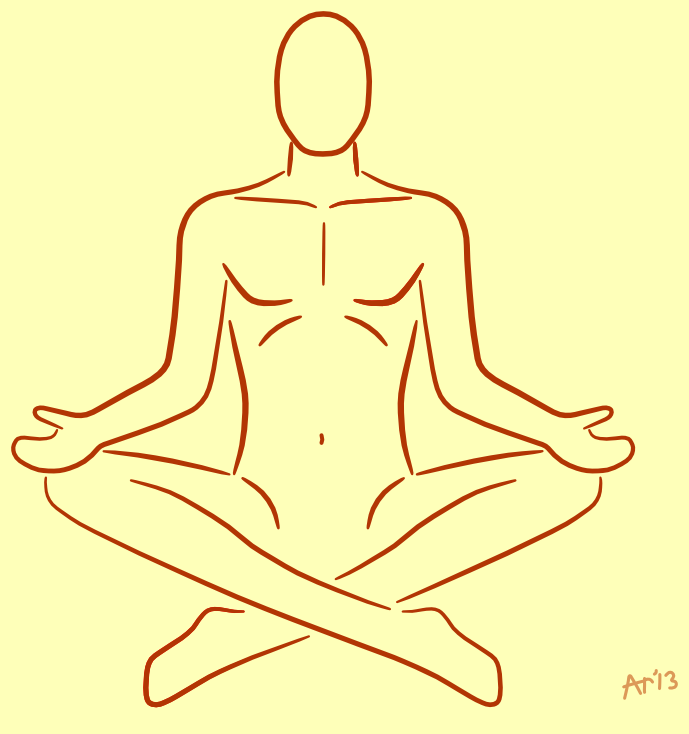 So I’m not going to give you detailed instructions on how to assume the Simple Cross-legged pose. But what I do want to discuss here is how to maintain a straight spine, because a lot of folks have a hard time keeping their back straight in this pose. Why can it be so difficult to keep your back from rounding? It’s because your knees are higher than your hips. Maybe you have plenty of range of motion in your hipjoints. In that case, you won’t have any trouble sitting straight in Simple Cross-legged Pose. But if your hipjoints lack sufficient mobility, then you’re body will try to compensate by tilting your pelvis backward. This way, you will get your knees higher than your hips after all, but at the same time the backward tilted position of the pelvis forces your back to round (see figure a in the image below). You’ll inevitably going to sit slouched then. That’s not really a good posture, is it? Fortunately, this issue can be solved easily: you just have to sit on a pillow or folded blanket, so you’re hips are more level with your knees (or maybe even higher). 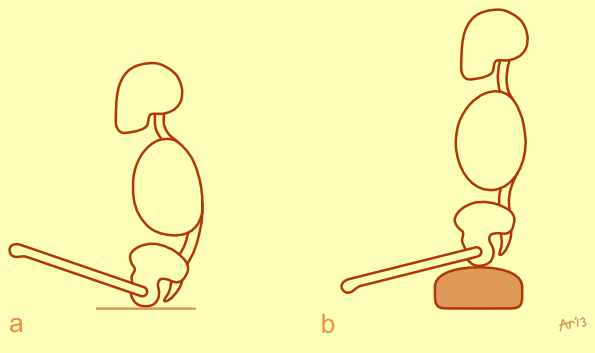 Your pelvis no longer tilts backward and you maintain a straight spine (see figure b in the image above). There are special meditation pillows available out there (see the photograph below). 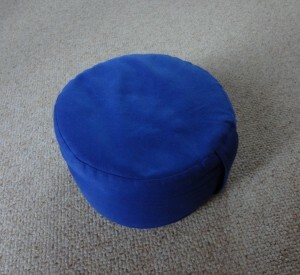 I strongly recommend to obtain such a pillow, they have a comfortable height and they are firm, yet not too hard.